Island Alpaca Eigth Annual Island Alpaca Shearing Day Event was once again a HUGE success! April 29th marked the event, which was well attended, inspite of the cool, overcast day. 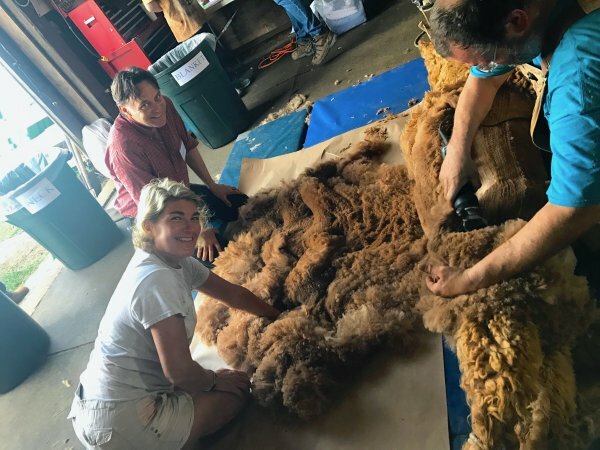 Islanders and off-island visitors alike came to watch and explore the full process of harvesting the fleece from the herd and witness the start of the fleece to fiber transition, shearing 52 alpaca and one llama for the farms annual harvest. The alpaca were thrilled with the work to remove their winter coat. The expert team: Matt Best from New Hampshire. 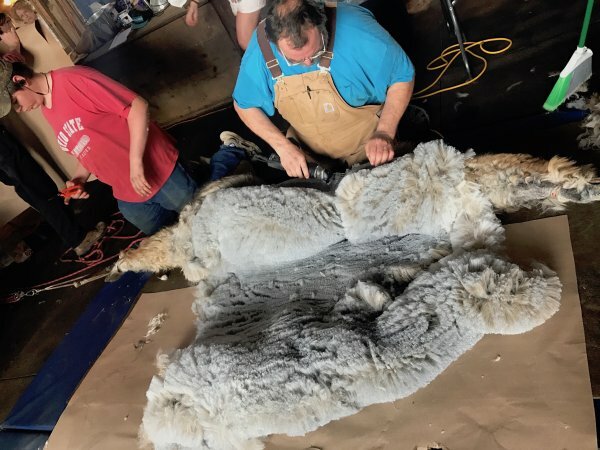 The shearers and the crew of helping hands, were hard at work for nearly 10 hours, working efficiently averaging just seven minutes per animal. Shearing Fun Facts: Alpacas are shorn just once a year in the Spring. Each alpaca produces between 3 to 13 pounds of fiber depending on age, genetics, environment and nutrition. Island Alpaca shear the alpaca stretched out on a thick rubber mat the ground or a table. Tying the front legs together and the back legs together. This method allows the shearer to work faster and get a more even cut, it is less stressful for the alpaca this way. 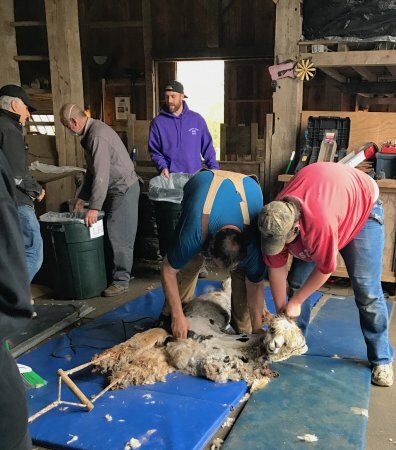 Shearing time varies greatly by the expertise of the shearer, but generally 6 minutes per animal is standard. Alpacas are shorn with the same clippers that are used for sheep. Blades have to be sharpened and oiled often. Because alpacas don't have natural lanolin oils like sheep, the clippers need to be oiled more frequently. Visit their farm store at 1 Head of the Pond Road, in Oak Bluffs to see the end result of this great process. Find beautiful roving, yarns, and locally produced garments from these wonderful animals that graze in their pastures!